Home » Security Blog » Video Quality » Why the Buzz About H.264? H.264 Technology: It’s the bitrate! H.264 is getting so much attention because it can encode video with approximately 3 times fewer bits than comparable MPEG-2 encoders. Recall that MPEG-2 was optimized with specific focus on Standard and High Definition digital television services, which are delivered via circuit-switched head-end networks to dedicated satellite uplinks, cable infrastructure or terrestrial facilities. MPEG2’s ability to cope is being strained as the range of delivery media expands to include heterogeneous mobile networks, packet-switched IP networks, and multiple storage formats, and as the variety of services grows to include multimedia messaging, security, increased use of HDTV, and others. Thus, a second goal for h.264 was to accommodate a wider variety of bandwidth requirements, picture formats, and unfriendly network environments that throw high jitter, packet loss, and bandwidth instability into the mix. Unrestricted motion search . Motion search allows for reference frames that may be partly outside the picture; missing data can be spatially predicted from boundary data. Users may choose to disable this feature by specifying a Restricted Motion search. Because “intra prediction” is concerned with only one picture at a time, it relies upon spatial rather than temporal correlations. As the algorithm works through a picture’s macro blocks in raster scan order, earlier results may be used to “predict” the downstream calculations. Then we need only transmit residuals as refinements to the predicted results. Coarse versus fine intra prediction. Intra prediction may be performed either on 4×4 blocks, or 16×16 macro blocks. The latter is more efficient for uniform areas of a picture. Direction Dependent Intra Modes. By doing intra prediction in the spatial domain (rather than in the transform domain), h.264 can employ prediction that is direction dependent, and thus can focus on the most highly correlated neighbors. For Intra 16×16 coding and Intra 4 x 4 coding, there are 9 and 4 directional modes, respectively. 4×4 transform of Residual Data. For initially supported profiles, residual data transforms are always performed for 4×4 blocks of data, and coefficients transmitted on this fine-grained basis. Variable block sizes for spatial transform*. Future profiles will allow transform of variable size blocks (4×8, 8×8, etc.) with the same level of flexibility as motion estimation blocks. This will provide more flexibility and further reduction of bitrate. Deblocking filter. To eliminate fine structure blockiness that might be aggravated by the smaller transform blocks, a context-sensitive deblocking filter smoothes out the internal edges. Its filter strength depends upon the prediction modes and relationship between the neighboring blocks. In addition to increasing signal-to-noise ratio (S/N), this technique significantly improves the subjective quality of the image for a given S/N. Context-Adaptive Binary Arithmetic Coding (CABAC*) provides an extremely efficient encoding scheme when it is known that certain symbols are much more likely than others. Such dominant symbols may be encoded with extremely small bit/symbol ratios. The CABAC method continually updates frequency statistics of the incoming data and adaptively adjusts the algorithm in real-time. This method is an advanced option available in profiles beyond the baseline profile. Slice coding. Each picture is subdivided into one or more slices. The slice is given increased importance in H.264 as the basic spatial segment that is independent from its neighbors. Thus, errors or missing data from one slice cannot propagate to any other slice within the picture. This also increases flexibility to extend picture types (I, P, B) down to the level of “slice types.” Redundant slices are permitted. H.264 introduces two new slice types, “Switching I Pictures” (SI) and “Switching P Pictures” (SP), which help address these needs with significantly reduced bit rate. Identical SP frames can be obtained even though different reference frames are used – thus, they can be substituted for I frames as temporal resynchronization points, but with significantly reduced bitrate. SP pictures rely upon the transformation and quantization of predicted inter blocks. Because SP pictures do not take full advantage of intra-prediction, at the cost of some bits they can be extended to SI pictures which do so. Arbitrary Slice Ordering (ASO) relaxes the constraint that all macro blocks must be sequenced in decoding order, and thus enhances flexibility for low-delay performance important in teleconferencing, surveillance and interactive Internet applications. Extended Profile. This profile contains all features from the baseline profile and main profiles, except that CABAC is not supported. In addition, the Extended profile adds SP and SI for stream switching, and up to 8 slice groups. This profile is appropriate for server-based streaming applications where bit-rate scalability and error rate is very important. 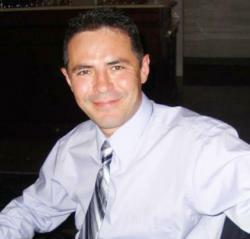 Security Applications and Mobile video services would be an example. Reduction in bandwidth requirements by factors of 2-3 provide cost savings for bandwidth-constrained services such as satellite and DVB-Terrestrial, or alternatively allow such providers to expand services at reduced incremental cost. H.264 can produce very good quality, TV Quality streaming at less than 1Mbps (standard definition). This slips under 1 Mbps thresholds for xDSL and thus opens possibilities for new access methods for high quality, larger format video. Recall that MPEG-2 consumes 15-20 Mbps for High Definition video at suitable quality for broadcast or DVD. Use of h.264 will bring this down to about 8 Mbps, making it possible for bandwidth-strapped satellite service providers to fit 4 HD channels per QPSK channel. Even more significant is that this reduction enables burning one HD movie onto a conventional DVD, thus avoiding the need for the industry to adapt a higher density (“blue laser”) DVD format. Small devices with many formats; variability of available bandwidth. For streaming applications, these two separate issues can be addressed by providing multiple streams with different formats and bandwidths, and selecting the appropriate stream at run-time. H.264’s SP and SI pictures facilitate dynamic switching among multiple streams to accommodate bandwidth variability. H.264 employs the same general approach as MPEG 1 & 2 as well as the h.261 and h.263 standards, but adds many incremental improvements to obtain coding efficiency improvement of about a factor-of-3. MPEG-2 was optimized with specific focus on Standard and High Definition digital television services, which are delivered via circuit-switched head-end networks to dedicated satellite uplinks, cable infrastructure or terrestrial facilities. MPEG2’s ability to cope is being strained as the range of delivery media expands to include heterogeneous mobile networks, packet-switched IP networks, and multiple storage formats, and as the variety of services grows to include multimedia messaging, increased use of HDTV, and others. Thus, a second goal for h.264 was to accommodate a wider variety of bandwidth requirements, picture formats, and unfriendly network environments that throw high jitter, packet loss, and bandwidth instability into the mix. During 2002, the h.264 Video Coding Experts Group combined forces with MPEG4 experts to form the Joint Video Team (JVT), so H.264 is being published as MPEG-4 Part 10 (Advanced Video Coding). MPEG-4 is really a family of standards whose overall theme is object-oriented multimedia applications. It thus has much broader scope than H.264, which is strictly focused on more efficient and robust video coding. 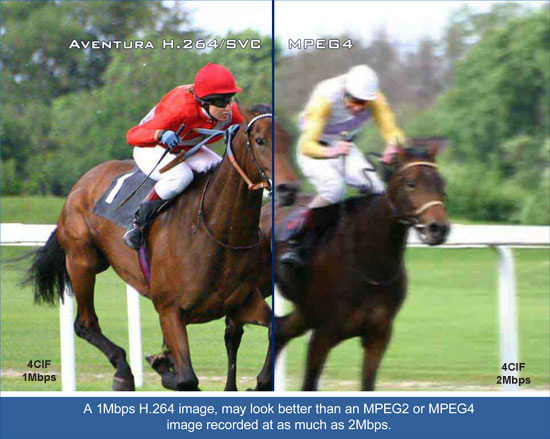 The comparable part of MPEG-4 is Part 2 Visual (sometimes called “Natural Video”). Other parts of MPEG address scene composition, object description and java representation of behavior, animation of human body and facial movements, audio and systems.